1. Voluntary disclosure for offshore accounts is still alive and well even after the close of OVDI 2011. In theory, the voluntary disclosure will be under the noisy disclosure procedures for general voluntary disclosure and there is uncertainty as to the amount of the "in lieu of" penalty. Admirably, CI used a pre-clearance process in the OVDI programs, and one would think that would remain available. Will "optional intake letters" continue to be required? And how does the process differ for non-foreign-account cases? JAT Comment: I suspect that the IRS will use the administrative process it has refined (original letter by the preclearance letter, a submission like the offshore voluntary disclosure letter and a package like the one required in the program. This will insure some level of uniformity and consistency for fair treatment relative to those who came forward to join the programs. What civil penalties will be imposed? 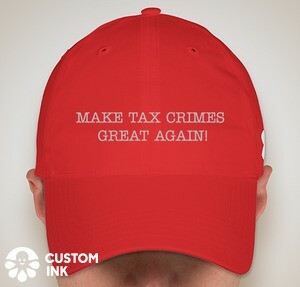 One would think that the IRS will seek to exact an amount somewhere north of 25 percent for offshore cases, and probably less than the 50 percent paid by most of those who pleaded guilty to criminal tax offenses. Presumably, whatever that amount is it will function like the program "in lieu of" penalty to resolve the other penalties that could apply (5471, 3520, etc.). Can a taxpayer still make the type of voluntary disclosure contemplated by Internal Revenue Manual section 9.5.11.9(6) -- that is, the submission of amended returns with a cover letter (by an attorney) offering to pay penalties? Will that submission be deemed the same and treated the same as a pre-clearance request? JAT comment: I project that the answer would be no. in a case with serious potential for criminal prosecution, a noisy disclosure is probably essential. The IRS obviously still prefers a noisy disclosure through CI, and in light of express guidance over the past three years, when any case has facts that would likely give rise to a criminal referral, this may be the only sensible approach. Indeed, for clients of any bank that has been in the news, one would think that given the publicity over ongoing settlement negotiations with Swiss banks, time is of the essence to submit a pre-clearance [some type of noisy] request. For some clients in this category, however, the increased risk of detection is a high price to pay for what they see as largely foot faults. For this group the "compliance from now on" option will be far more attractive, especially if little U.S. tax is owed or the client lives outside the United States. This is a perfectly viable option for many noncompliant taxpayers, and obviously, at least upfront, far less expensive. The only difference for much of this group between compliance going forward and quiet retrospective filings is that someone who simply starts filing and then get audited cannot argue that she acted in good faith to address prior-year noncompliance. the practitioner has no choice but to explain to the client the risks and benefits of each possible approach and work through the choices with the client. In a case involving an account of any material size, we doubt whether a truly quiet disclosure can be made. The IRS is likely better able to scrutinize amended income tax returns in service center processing or, perhaps more important, delinquent (or even first-year-filed) FBARs sent to Detroit with the required explanatory statement describing the reasons for the late or amended filing. Indeed, one would think it sound tax enforcement policy to design a system to capture those filings for further review, and that may be occurring. We see the opportunity for a true quiet disclosure greatly diminished in any situation involving the disclosure of any substantial foreign account. In those cases, the primary difference between the noisy and quiet disclosures from the past -- the likelihood of audit or civil penalties -- is not as stark as it once was. Otherwise, the issue is whether the IRS would react with anger or hostility to a quiet disclosure if the returns or FBARs get pulled for audit. During both OVDI programs, the IRS expressed disdain for quiet disclosures, threatening to detect and even prosecute persons who attempted quiet disclosures during both initiatives. We have heard of anecdotal instances of IRS agents stating as much, and we are aware of a few cases in which quiet disclosures have been detected and opened for examination. In the criminal information filed in a recent case that resulted in a guilty plea, the IRS made plain that quiet disclosures were not considered true voluntary disclosures, although in that very unusual case the quiet disclosure failed to report all accounts. Scott Michel is an expert in this area, and his comments and insights are always welcome. Already, there is some ambiguity with post-OVDI procedure. On an IRS website posted after the Sept 9 OVDI deadline, the IRS stated that future voluntary disclosures such be made directly to the taxpayer's local Criminal Investigations office. However, in at least one case, a local CI office referred the taxpayer to the same Offshore unit in Philadelphia which coordinated the OVDI. Further, at least one practitioner has suggested that now, since the OVDP and OVDI specialized procedure is over, an initial contact with the IRS to pursue a voluntary disclosure may be made on an anonymous basis. As far as the comments regarding quiet disclosures, I think attempting one would be foolish. The IRS is examining amended returns, comparing them to the returns originally submitted, and if the amended returns show foreign income not previously declared, then the amended return is ripe for further examination and the taxpayer faces serious problems. If an FBAR suddenly arrives at the Detroit IRS office, and there is no history of prior FBAR submissions, again, this is a red flag for further examination. Finally, at least one criminal prosecution in the offshore account context came about as a result of a quiet disclosure that was caught. I would be hard-pressed to think of a fact pattern that would lend itself to a quiet disclosure with low risk. and the continuing risks to US taxpayers with such accounts. I have fielded many calls from people waiting on the sidelines, uncertain how to proceed, as the eleven banks are investigated and settlement negotiations continue. Taxpayers with accounts at these eleven banks should be concerned. Taxpayers with non-compliant accounts elsewhere should be concerned too, as the IRS and DOJ will leverage success against UBS and these other banks to continue against other banks, in other countries. Recommendation Number 8 on page 378 is the way to go for Americans living overseas. It is clear that there are still many (millions?) of non tax-compliant non-resident Americans out there and only an approach whereby US persons living abroad can enter the system without penalties will work. I would bet it is a common experience for Americans who are overseas that when a non-US citizen meets them and realizes that they are American, they will often be proudly told that the non-US citizen’s spouse or child is an American. Watch this pride disappear and confusion set in when you tell them that being an American is great when you are in America, but you find that the general tax rules for overseas Americans make it very difficult. This may or may not lead to further discussion and more often than not, US tax liability is not known, nor is even comprehensible to these people. Many non-US tax authorities have adopted policies of respect for people who make voluntary disclosures in order to encourage the disclosure. The heavy handed and punitive approach of the IRS does not encourage these overseas Americans to comply, especially when they have already been compliant in their countries of residence. The IRS can gain compliance by acting as suggested in Recommendation Number 8. If a policy as suggested in Recommendation Number 8 is applied, then the IRS will need to address refunds for the hapless non-resident US persons who participate in OVDI in the same way as they did for the 5% case in FAQ 52.3 (see the end of the FAQ). If refunds are not addressed either within OVDI, or after it, then the non-resident US persons who have participated in OVDI/OVDP will have evidence that they have been duped. It will also take the force out of any future actions/programs/amnesties that the IRS anticipates as there will be a clear proof that one will be better off by just waiting and not participating. Who would care what the IRS encourages or discourages? As an OVDI participant who is waiting with baited breath to see what the IRS requires for proof in order to accept that I have been fully tax compliant overseas, the anger wells up inside me when I consider the amount of time and effort I have spent getting my tax authority to provide every document it is capable of producing. I live in fear (of financial ruin) wondering if these are good enough and what kind of scrutiny they will receive. Unless the IRS acts soon to address Recommendation 8 for all overseas resident US-persons, a lot of time will be wasted by the IRS. My time has already been wasted. If broad relief is to be given to non-compliant overseas residents in the future in the interest of encouraging compliance, why waste any more of anyone’s time now? Finally, at the following link, it is reported that the U.S. Ambassador to Canada, David Jacobson, said to “sit tight”. I presume he means all overseas resident US persons who have been tax compliant in their countries of residence. It is possible to be tax compliant in a country with higher tax rates than the US and still owe some taxes. The US dollar exchange rate can impact one that way. What does Mr. Jacobson mean by sit tight? Does he mean that overseas resident US persons who wanted to do the right thing and entered OVDI should have done nothing? Could the IRS really be considering a non-punitive policy for overseas US-persons as suggested in Recommendation Number 8? 1. Mark Matthews is an esteemed attorney as well. Both Scott and Mark are in same pantheon. 2. As to how the cases will process, I think there will be cases in which the anonymous disclosure to the local CI office may be necessary. I would think the second step would be submitting a written document making the full disclosure consistent with the anonymous disclosure and also containing the other elements of the OVDI letter (probably in the same format) for easier and more consistent processing. Then, I would think the the taxpayer will have to submit the final package in pretty much the format develop in OVDI 2011 (with perhaps some changes based on experience in OVDI 2011). 3. I agree that, at least based on my own anecdotal data set, those not wishing to do the formal noisy disclosure will more like opt for a go-forward correction (rather than a quiet). 4. Of course, one key factor to consider in the equation of whether to VDP (noisy) or not is the fact that other banks -- Swiss and otherwise -- are liable to be delivering up taxpayer names to the IRS. Perhaps there will be advance notice of that and opportunity to VDP (quiet). Perhaps not. Particularly if the banks do it on the quiet or if some whistleblower decides to get a step ahead of the banks. I appreciate and agree with the analysis in the article and, historically, my experience with the IRS tends to support the recommendations. What keeps me up at night, though, is the thought that we’re entering into a new era of compliance in which the old rules may not apply. In particular it is the hubristic tone the IRS has taken in the past 12 months in the FAQs, (e.g., FAQ 15 in which they strongly recommend against quiet disclosure), public announcements (e.g., Treasury’s response to the Indian American Groups), and elsewhere (e.g., Shulman’s various comments). Thanks for providing the forum for the practitioners to vet, vent, and strategize where to go from here. Whether the "iron fist" works can be determined by looking at what percentage of lawyer's cases involve Swiss accounts versus accounts in other countries. My guess is that a VERY large percentage of disclosures involve Switzerland and of those many or most UBS. If the penalties weren't draconian, there would have been 10 times or 20 times as many disclosures from other banks/countries. Any lawyers care to comment? My take on whether the "iron fist" works is that the 30,000 disclosures are the tip of the iceberg of accounts that would have been disclosed with a reasonable penalty (taxes+interest+20%of taxes due, plus a nonwillful penalty of 10K/year or less. For non-UBS/CS the incentive seems to be to wait and do nothing unless and until their bank is in hot water. For every person who paid 20-25% there are probably 10 to 100 who could have paid 5% under a reasonable penalty structure. I think you are misunderstanding the article. The 20-25% penalty IS the velvet glove referred to in the article. The iron fist is vigorous enforcement of FBAR rules, criminal penalties etc.